As	the	Chief	People	Officer,	Deependra	is	part	of	Aurionpro's	executive	management leading	the global	strategy	and	execution	for	the	Human	Resources	function. Deependra	brings	over	29	years of	strong	leadership	and	multi - cultural	experience	in the	Human	Resources	function	across multiple	industries. He	has	been	instrumental	in	managing	large	HR	teams	spread	across	different geographies	and has	successfully	transformed	the	HR	function	to	be	a	strategic differentia tor	for	business. Organizational	Team	Building,	Restructuring,	Change Management,	Aligning	HR	to	Business,	Culture building	and	HR	metrics	are	some	of	his areas	of	expertise. 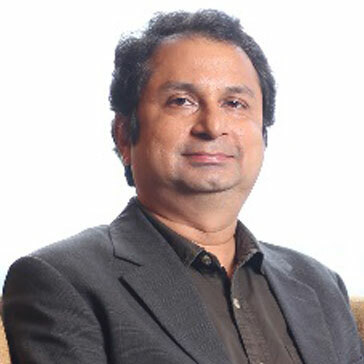 He	has	successfully	led	several	HR functions	in	organizations	like L&T	Infotech,	Indian	Hotels	(Taj	Group),	ANZ	Grindlays,	HSBC,	eFunds, IT	20,	Morgan Stanley	and	JP	Morgan	and	Hexaware	Technologies.